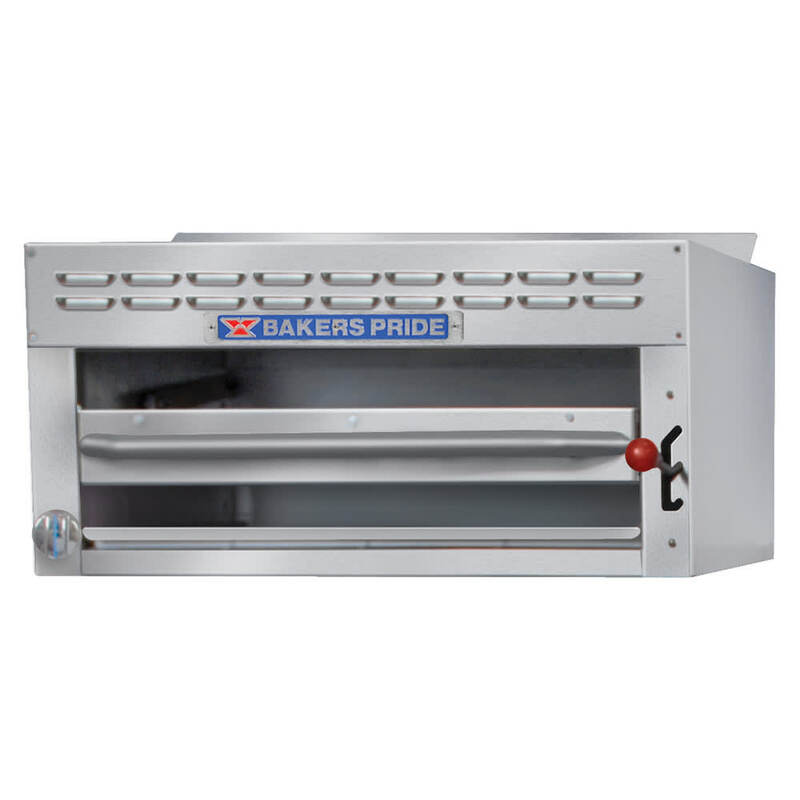 The Bakers Pride BPSBI-36 salamander broiler has a stainless steel front, top, and side panels for durability and cleanliness. Heated by natural gas, this unit has infrared heating elements—powered by a light to convey heat—on the top and bottom to quickly and evenly cook food. 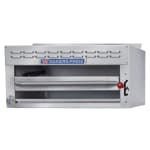 Its chrome-plated rack is adjustable so operators can move it closer or further away from the heating elements. Because the rack rolls out, food can be conveniently retrieved without posing burn risks, and the broiler pan can be removed for cleaning. Recessed controls remain cool to the touch to protect the user from heat, and the control components are accessible for servicing and maintenance. Its continuous pilot enables the user to heat up the unit at any time, while the gas valve can be regulated to control the heat level. The spring-balanced tension assembly lowers and lifts the rack with multiple stops. To learn more about these units, check out this explainer on salamander broilers.